Ballymagirl is a Catalina 42 Mk11 built to A1 survey in 1996. Offered for sale by the owner in excellent condition. 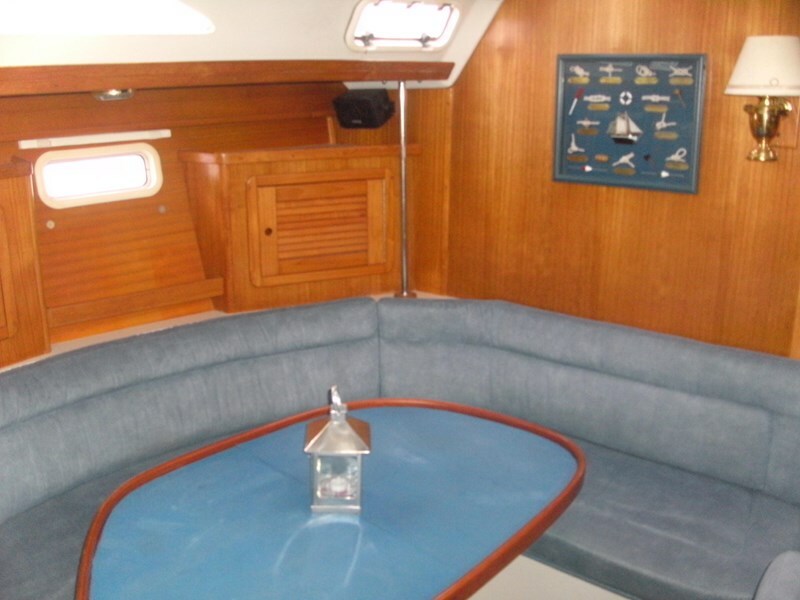 This is a roomy, comfortable boat yet still a good performer. 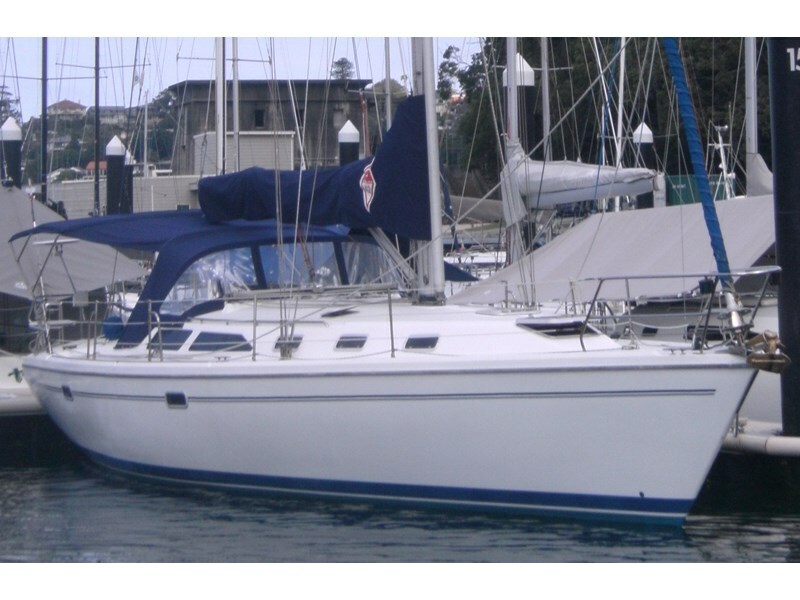 Currently not in survey but can be put back into 2D and 2C survey, also 4E, this allows the boat to be bare boated or skippered in Sydney Harbour (also other locations). Formal qualifications are not required to operate in 4E. A master 5 is required to operate in 2D and 2C but the hours gained in 4E operation can be used to obtained a Master 5. This can be a very Tax effective way to have the boat pay it's own way and make a good living at the same time. (can give details to new owner). The boat has only been "skipper charted" and maintained to the highest level, other features of the boat include...........Full lead fin keel, feathering prop (plus spare prop) 50 HP Yanmar 4 cylinder diesel, FWC with shaft drive, 2 hand operated bilge pumps,1 electric auto pump, 1 motor driven bilge pump ($3000 requirement for survey) 3 double cabins, the dinette also converts to a queen size bed so the boat can sleep 8. 2 heads (1 electric, 1 manual} 3 hot/cold showers ( 2 in heads, 1 on the transom. Stability report and drawings which can cost up to $10000 to prepare for survey. 6.8 c,f, Eutetic fridge with water cooling ( just serviced) 3 burner LPG stove with oven and 2 gas bottles, Microwave oven, 11 gal hot water, 4 water tanks, total 425 Lt, Fuel tank 160 Lt, 2 holding tanks, cockpit table and cockpit cushions. 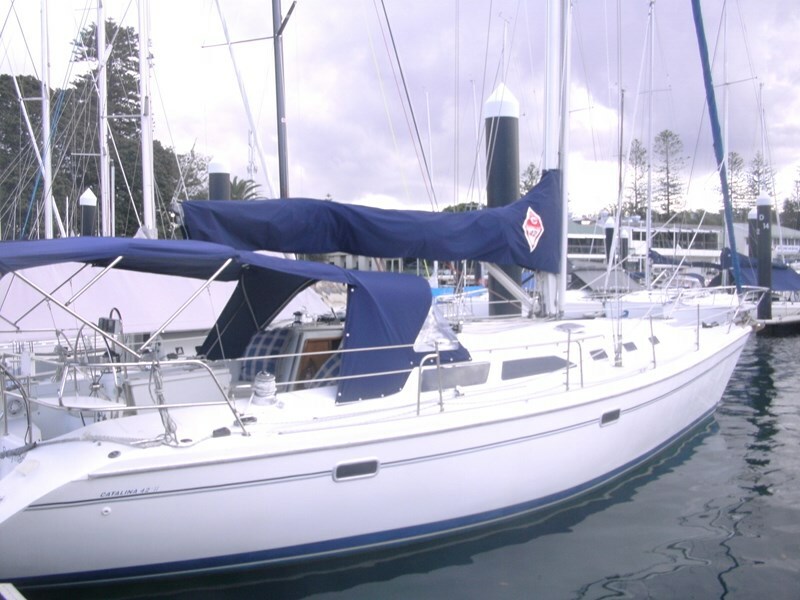 TV, DVD, radio cassette, 6 stack CD, speakers in cabin and cockpit, New 3000 watt (9000 watt peak) pure sine wave inverter with a 70 amp charger and shore power, 2 x 120 amp/hr AGM batteries and one starter battery, fully battened mainsail with lazy jacks, 135% Genoa with furler, symmetric spinnaker with dip pole on mast, MPS Blooper (fair condition), 2 Lewmar 52 self tailer Primary winches, 2 Lewmar 40 self tailer halyard winches, Maxwell 800 anchor winch with 66 mts gal chain and CQR anchor, All new Sunbrella canvas, new dodger, bimini with sock, infill, boom cover and clears all around the cockpit (great in winter and the wet), ST 7000 Autopilot, ST 80 instruments including Masterview, wind and auto control (not standard ST 60 Tri data), safety equipment including VHF radio and mast antenna, 10 man life raft (for 2C survey) 11 person Carley float and 2 life buoys (for 4E and 2D survey) life jackets, 3 fire extinguishers, flares, EPIRB, water proof torch, fire blanket, 3 fenders and boat hook. 2.5 Mtr heavy duty inflatable (used twice) with 3.3 hp Mercury outboard.